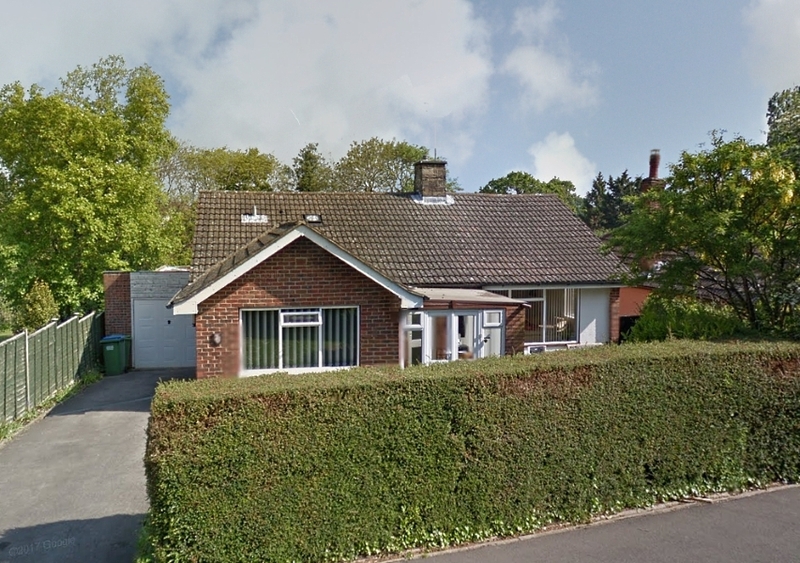 We are pleased to announce that we have just gained planning permission for the remodelling and extension of a 1960s bungalow in Fareham which will transform it into a a contemporary house. Whilst we might make the transition from single storey bungalow into a desirable house look easy, obtaining that all important planning permission was anything but straight forward. 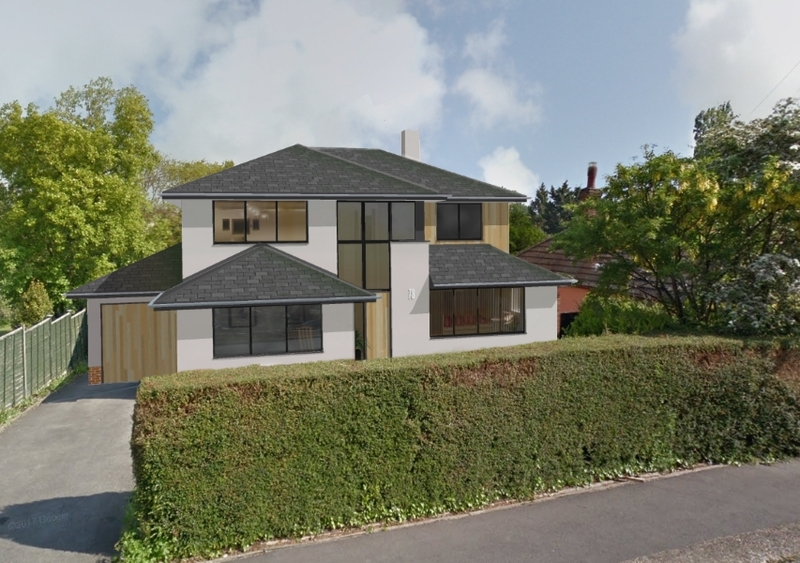 With consideration about the impact of creating a two storey house with bungalows each side and concerns about the overall height of the proposed property, our initial response to a client that loves all things modern was for the property to become a contemporary flat roofed house. Rather than simply raising the external walls and adding a pitched roof as others have done in the road, our approach was to set the two storey element back from the part of bungalow nearest the road and to set it in from the side gable wall nearest the neighbour. However our cutting edge design did not cut it with the planners. Despite no opposition from the neighbours, the planners initially said that the whilst the design was commendable, they did not wish to see flat roof houses being built in the main Fareham area and that the design was too bulky. So having got nowhere with the flat roofed house, we turned our thoughts to a shallow pitched hipped roof design, which bizarrely gained the approval of the local planning authority despite being bulkier and taller than our earlier plans. 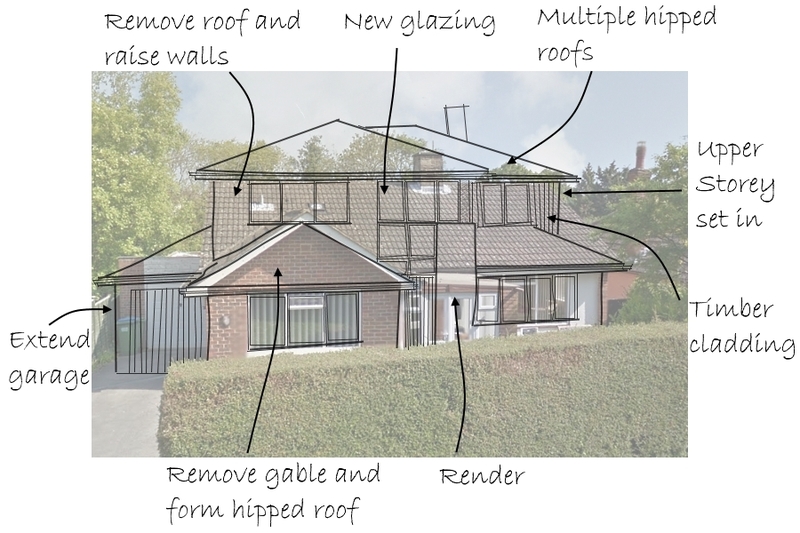 Our design will see the entire roof of the bungalow removed and another storey added, with a two storey extension being built to the rear. The design will incorporates a series of different shallow hipped roofs at both the ground floor and first floor levels, wrap around glazing and rendered and timber clad elevations. The design follows the stepped approach used for the earlier flat roof design but has been fully reworked to make it fit the hipped roof design. Inside the house will have four bedrooms, bathroom and ensuite on the first floor, whilst the ground floor will be reconfigured to include a large open plan kitchen / family room (55m2 ) with wrap around glazing on three elevations, study and living rooms. By adding 100m2 of additional space, the design will more than double the size of the original bungalow. If you have a similar project in mind give us a call on 02392 525100. This entry was posted in Extending, Planning and tagged Contemporary house England, Contemporary house Fareham, contemporary house Hampshire, Contemporary house UK, extension design Fareham, Extension design Hampshire. Bookmark the permalink.